Unique padded DJ equipment case manufacturer Arriba are offering Pro Mobile readers an exclusive opportunity to win £100 to spend on cases for their mobile equipment. All you have to do in order to enter the draw is fill out the simple form on the Arriba website letting them know what equipment you have that could be protected with Arriba cases. The people at Arriba aren’t just being nosy – they want to know what equipment Pro Mobile readers use so that they can make sure their range of cases covers everything. Everyone who completes the online form will be entered into a draw and the lucky winner will win £100 to spend with the Arriba online store. 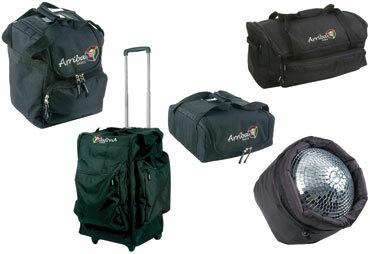 Arriba cases are made of durable synthetic material to protect lighting effects and other equipment from nicks, scratches and dents. They offer cost, space and weight savings compared to traditional hard-body equipment cases and are available in many different shapes and sizes. Each Arriba case is provided with heavy-duty carry handles and most incorporate extra compartments for storing cables and clamps.